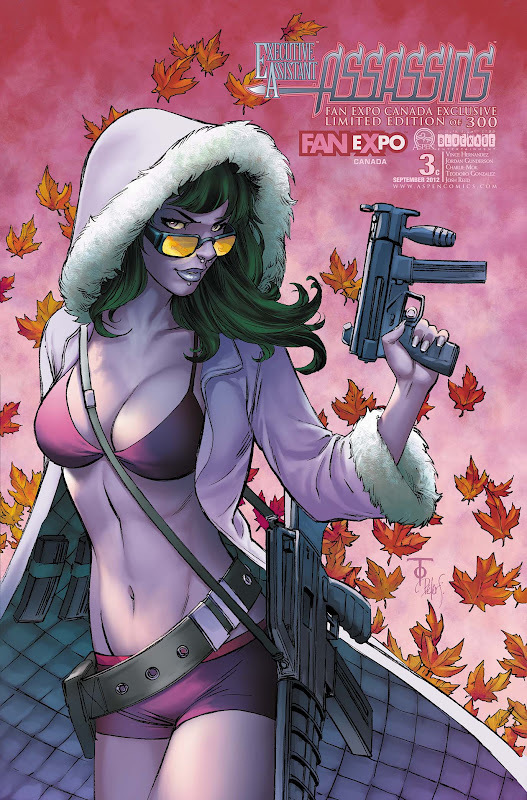 Aspen Comics will be returning north to the Metro Toronto Convention Centre for this year’s Fan Expo 2012 with top creators, limited Fan Expo exclusives, and a special Aspen panel workshop. Creators Frank Mastromauro, Peter Steigerwald, Joe Benitez, J.T. Krul, Nei Ruffino and Alex Konat will be appearing throughout the weekend at the Aspen Comics Booth #841 to sign autographs, meet with fans and provide complimentary free sketches courtesy of the publisher and its creators. Aspen will be offering two highly limited exclusive books for Fan Expo 2012. Michael Turner’s flagship title Fathom will have a special Fathom #7 Fan Expo 2012 exclusive cover by Aspen founder Michael Turner and superstar colorist Peter Steigerwald. The publisher will also be offering an Executive Assistant: Assassins #3 Fan Expo 2012 exclusive cover by Canada’s own Marcus To along with Peter Steigerwald, limited to only 300 copies. Aspen encourages fans to arrive early to ensure their copies of these popular exclusives. 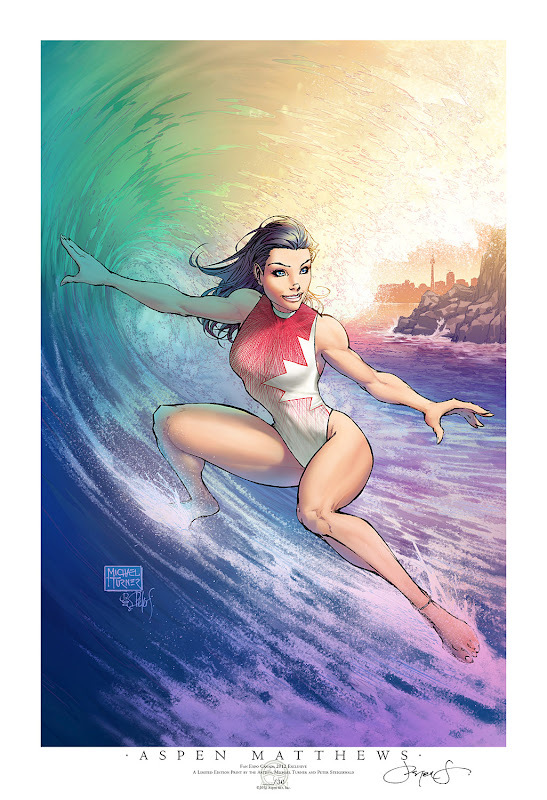 The Aspen Comics Booth #841 will also have an all new series of their industry-leading art prints debuting at Fan Expo, including the special Aspen Tour Print Fan Expo 2012 edition by Michael Turner and Peter Steigerwald, limited to an extremely low 30 editions. Other new art prints available during the weekend include the Fathom #7 Fan Expo 2012 Michael Turner and Peter Steigerwald cover, and more. 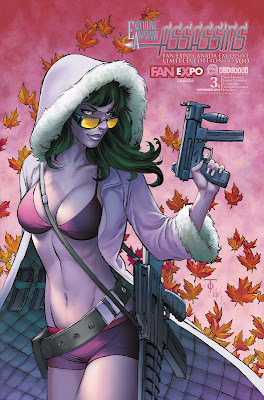 Aspen strongly suggest fans to arrive early to secure the Aspen Tour Print Fan Expo 2012 edition. On Thursday at 6pm in Theatre 3, Room #716, Aspen will be hosting a “Discussion and Drawing” panel with a first look at what Aspen has planned in 2012 and beyond including their recently-announced “10 for 10” initiative and more. For more details on Fan Expo 2012 please check www.fanexpocanada.com and for more information on Aspen Comics please check www.aspencomics.com and www.aspenstore.com.